Photos and memories from your own childhood, and that of your grandparents. You’ll find it all in this much loved Facebook group which was started by local history enthusiasts in 2011. We’ve been talking to Andy Ball, one of the original founders of the group, and finding out more. This is Andy’s story. 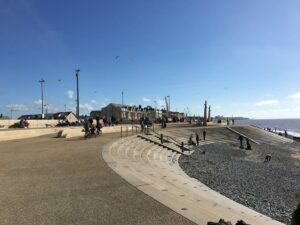 Steve Simey, a friend of mine, approached me in early 2011 to see if we could follow in the footsteps of the popular Fleetwood’s Past group and start a similar one for Cleveleys. I’d had a long standing interest in history in general and a particular interest in our local history. This probably stems from my dad, who was a stamp and postcard dealer in the 1970’s and 80’s. I still get excited when I uncover a picture we haven’t previously seen, whether it’s an old social history sceme from the Edwardian era or a picture from our youth when we were pubbing and clubbing in the early 80’s. Maybe it’s a scene from the Cleveleys Hotel which closed in 1983, or The Illawalla which closed around 1987, ahhh the memories! I’d previously been heavily involved in a local forum/website called Thornton Through Time.  For the previous two years I’d been advertising in my taxi for any images and stories that my passengers had to share, and had come up with some crackers. I’d unearthed personal gala photos and similar from many of my elderly passengers, parents and grandparents – the sort of pictures that had never appeared in any books. So when Steve asked about starting what was originally called the ‘Cleveleys Past’ group I was more than happy to help. After a few months it was decided that it might be better to include the much older Thornton, so we changed the name to ‘Thornton Cleveleys Past’. Numbers began to rsie steadily as we added friends from the previous forum, who all contributed greatly to the rise and rise of this much loved group. People joined from far and wide and we currently have members, who are now friends, from Australia, the USA, the Channel Islands, and from all over the UK. They’re all ex Thornton Cleveleys people who used to call this great town their home. All have, and still do, contribute on a daily basis. Over the past two years we have made some pretty amazing photographic discoveries, including the full ICI picture archive from 1920-70 kindly loaned to us by an ex ICI employee, with nearly 700 images and many previously unseen. 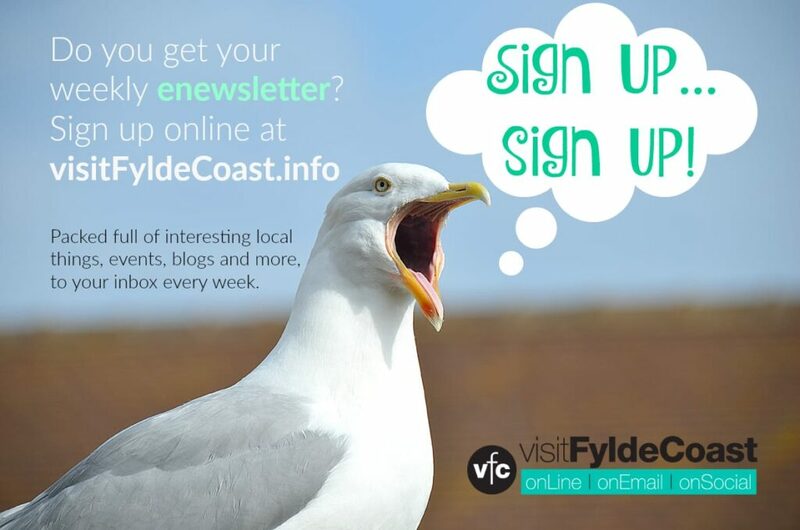 These range from the area around ICI (Burn Naze), works parties, aerial pictures of the developing ICI, works committees, sporting occasions, children’s christmas parties, and day trips. It’s an amazing feeling to know that we have found photos, so that members who may never have seen pictures of their grandparents can now see them in their younger days, and it personally gives me the greatest of pleasure. 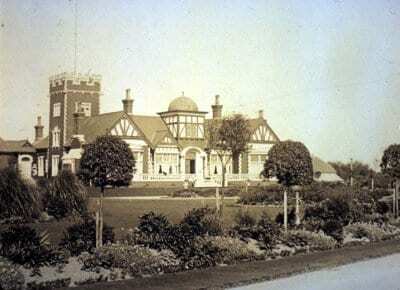 Members have contributed some pictures of great rarity, including ones going back as far as the 1880’s of local buildings, including the fore runner of Cleveleys Hydro, Eryngo Lodge on Victoria Road (then Ramper Road), Cleveleys, from 1891 – hardly more than a dirt track at the time. In July this year (2012) we had our first Thornton Cleveleys Past get-together at the Sandyforth Arms at Thornton. A historic building in its own right, 40 mmbers attended, coming from as far away as Australia. We had a slide show on the big screen TV. A great day and evening was had by all, and we also raised a good amount of money for a local charity aswell. We are currently working on the origins of the name ‘Cleveleys’. Formerly Ritherham or Ritherhome as Cleveleys was previously called, it was supposed to have existed only from the 1870’s to 80’s due to the name of the owner of Cleveleys first inn, who ran day trips from Blackpool. 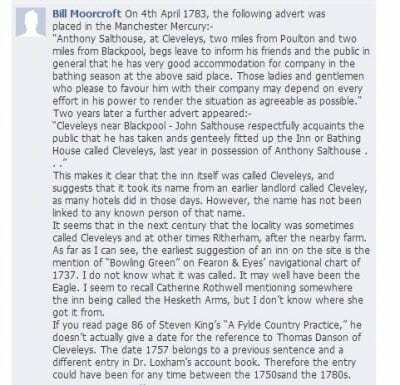 However, thanks to one of our members it has been pointed out that ‘Cleveleys’ goes back a great deal further and was being advertised back in 1783. The advertisement mentioned at the left is from the Manchester Mercury dated 4th April 1783. Ritherham probably dates back a great deal further. Plus every member who has added anything to this site, be it by commenting or providing pictures. Thank you!